It's hard to believe, but the Christian Fiction Historical Society will be a year old in less than two months. As one of the moderators of the blog, I thought this would be a good time to tell you more about the contributors to this blog and to give you the opportunity to give us some feedback. First, here's a bit of info about us. We are a group of 31 writers of Christian historical fiction. Most of us are published, and our books span Biblical times to modern day, but the purpose of this blog is not to talk about our books, but rather, one of the things we all have in common--our love of history. This is reflected in the fascinating posts you've read on this blog, which cover all aspects of history. But this blog wouldn't be possible without you, and we wanted to say a special thank you to our followers and visitors for helping CFHS reach nearly 100,000 hits in less than a year. We also would appreciate some feedback. I'm listing some questions below, and everyone who leaves a comment and answers at least two of the questions below will be entered to win a copy of The Pioneer Christmas collection, signed by all 9 of the authors. Do you like having a new topic each day, or would you prefer that a topic stay up for several days? What entices you to leave a comment? Do you feel the length of most of the posts are a good? Do you pick and choose what days you visit, or do you visit most days? If you do pick and choose, is it the topic the deciding factor or something else? What other topics would you like for us to cover? Do you read the posts on days we don't have give aways? Is there something you don't like about the CFHS blog? Are you a follower of the CFHS blog? If not, could you tell us why? How can we make the CFHS blog better? 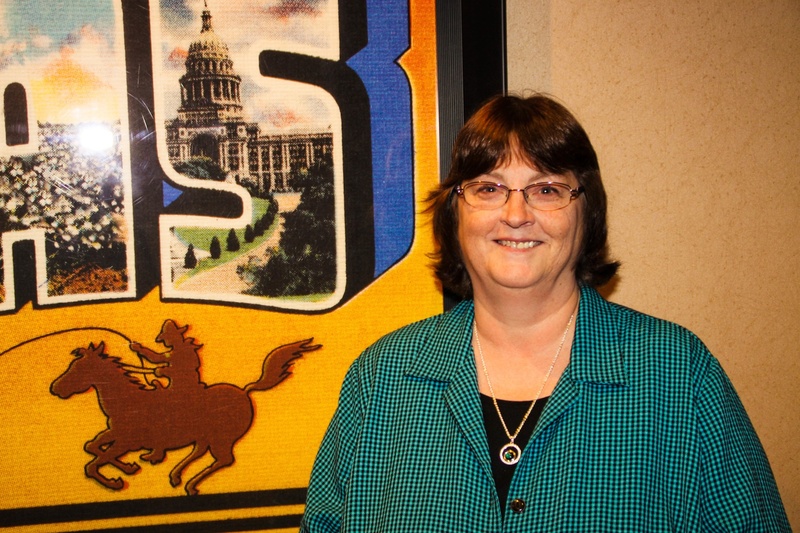 Vickie McDonough is the award-winning author of 28 books and novellas. Her novels include the fun and feisty Texas Boardinghouse Brides series and the 3rd & 6th books in the Texas Trails series. Her novel, Long Trail Home, won the Inspirational category of the 2012 Booksellers’ Best Awards. 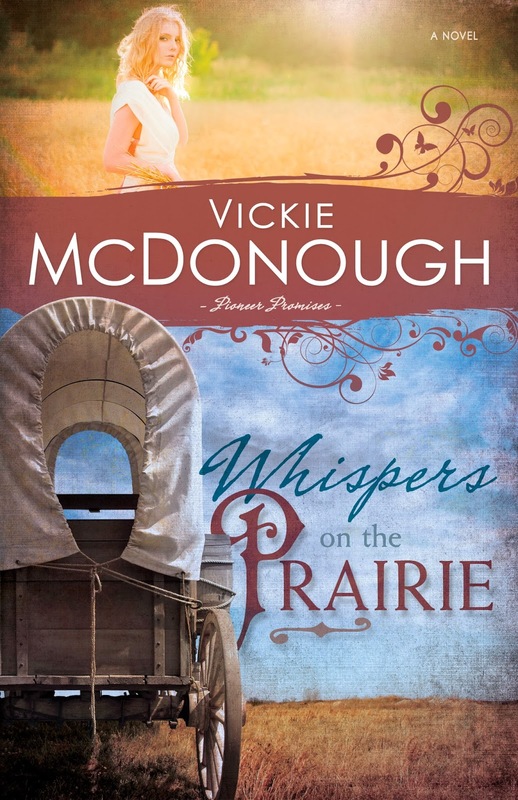 Whispers on the Prairie, the first book in an exciting new series set in 1870s Kansas released in July and is a Romantic Times Recommended Read. Do you like having a new topic each day, or would you prefer that a topic stay up for several days? I like the different topics but dont comment on all or visit some days depending on the subject. I do get the post in my email so often read it there. What entices you to leave a comment? I comment when I have something to say. some topics dont appeal to me or are topics I dont know how to say. Do you feel the length of most of the posts are a good? yes the length is good. Do you pick and choose what days you visit, or do you visit most days? If you do pick and choose, is it the topic the deciding factor or something else? Yes I do pick and choose. it depends what the topic is as I mentioned I get the email with the post and if it interests me I come to the blog. Yes it is the topic but sometimes its also that I dont have the time and lately haven't been well so not going to lots of blogs depends on the pain level on the day. What other topics would you like for us to cover? I love the civil and revolutionary war topics and others Its hard to say what I would like covered. Do you read the posts on days we don't have give aways? I read or skim all posts as I mentioned in the email I actually don't care about give aways as I know I can't enter and its not the reason to visit. If I could enter it wouldn't make me only come then. Is there something you don't like about the CFHS blog? Not really although 7 days a week gets tiring at times. How can we make the CFHS blog better? no idea. Thanks so much for your detailed response. This will be a big help to us. I pray that you feel better soon. Thanks for the feedback! Relating to your suggestion of a week-long topic, in December, most of our bloggers will be posting articles about different aspects of Christmas history or how it's celebrated in other countries. I like a topic for several days, It gives one time to comment, maybe come back and comment again on the topic. The topic is the deciding factor for me and books and authors being featured. Period clothing, period way of living, Antiques of the period ect. Background needs to match the header color wise. Yes I am a follower. I love historical fiction. More giveaways, Tea Parties with gifts, more things to be active in , scavenger hunts, articles on things we could apply to our own lives. Old fashioned skills featured with tutorial lessons in pics ect. Thanks for all of your excellent ideas, Linda. What period of clothing, living, & antiques are you interested in? I'm interested women's clothing from medieval times on forward. That would make for a good series of posts - whether monthly or daily! Congrats on your first 8 mos, CFHS! I'd be happy to answer your questions. 1. Though I haven't the privilege of reading your blog daily, I enjoy the variety of topics and consistently well written articles. 2. Time prohibits me from commenting on each article because I may read a week's worth at one sitting. I love history, so some topics naturally excite me more than others. 3. The length varies according to topic and author, which seems appropriate. If its well written, who notices WC? 4. I read CFHS according to my schedule, not according to topic. I open your blog as I would a lovely wrapped gift, or a knock on my door. I'm never sure which favorite author or topic awaits, but I'm always pleased! 5. "Behind the scenes" research fascinates me. The variety of topics has made you a valuable resource for writers and history buffs alike. Keep up the good work. 6.No, give- a-ways don't influence me, personally. 7. I honestly can't think of anything I've not liked about CFHS. Your blog is easy to read, entertaining, and informative. Do you suppose a color other than pink would draw a larger male audience? The genre may be gender specific, but the articles are not. 8. I read you regularly, yes, but I'm embarrassed to admit that I don't know if I've officially "followed". I'm new to this "other" world and take the term "technically challenged" to a whole new level. However, I really LOVE your blog and as soon as I figure out how to do it, I will LIKE you and FOLLOW you as well! 9.See #7 above. Thank you, CFHS authors! May God bless you all as you write for His glory. Hi Julie! Thanks for the fabulous feedback and wonderful compliments. We may ask to use those as endorsements on the blog. :) To become a Follower, go to the CFHS Home page, in column on the right-hand side, scroll down to below the give-away requirements, and you'll find the Follower sign-up box. Thanks, again, for your kind comments. I'm a new contributor to the group, and I am loving going through the readers' comments. It is going to help me in writing my columns, such as Linda saying above she likes to read about period clothing. I hadn't thought about doing that but my first series takes place in the court of Louis XIV. Versailles was a fashion magnet! Keep the comments coming, and I'll "see" you all on the 17th of each month. I'm looking forward to reading your posts, Golden. Welcome to CFHS! •Do you like having a new topic each day, or would you prefer that a topic stay up for several days? I love receiving the daily emails, your variety of subjects has been great! I usually am leaving a comment because the topic is so intriguing or interesting to me that it motivates me to say thank you! How can we make the CFHS blog better? Its fabulous, thankyou for your blog, I love it, you can not improve it, and congratulations on your success! I want to add..I have won some giveaways and that even makes it more fun! Jojo, I'm so glad you're enjoying our posts so much. We appreciate your feedback! I personally like a new topic every day since there are others available. I leave a comment about subjects that I have really enjoyed learning about. I love the way you all present such interesting facts. I love the 1800's. I think the length is good, Gives a lot of information for time used. I visit every day. A giveaway is added bonus but I still read topics without them. I follow blog by e mail. I really enjoy the blog and can't think of anything to make it better. Hey, Jackie. I love the 1800s too. Thanks for your wonderful feedback! 1. I do love the variety of topics and learning so much from it all. There are some topics I do wish to know more about and wish to dive deeper into it - but that doesn't mean you can't have different topics every day. 2. Of course - giveaways always prompt leaving a comment. But other than that I do try to leave a comment when I can if a topic touches me or interests me more than normal. I DO read pretty much every day whether I leave a comment or not. 3. I don't have too much time to read long posts, so for some that are longer I skim the paragraphs. I like medium or shorter ones that I can read a little quicker than in depth long ones. But that doesn't mean I don't like the info you all give us! 4. I try to visit every day. If I am gone a day or two then I go back and read those I missed. Thank you all for all you do!! Susan, Thanks sooo much for being a loyal follower. You're appreciated, as is your feedback! One thing, if you read a post that you'd like to know more about, be sure to leave a comment and let the author know. We try not to repeat topics too often, but if there's interest in knowing more, then we can always do a part 2 or 3. I like this blog quite a bit and I receive it daily via my e-mail inbox. I read it everyday, and posts that connect with what I write I save as "research." I also like the length of the blog posts - they're are not too long and allow me to spend a few moments with great topics without chewing into my writing day. The daily change-up of topics is also a plus. Overall, keep up the good work. davalynnspencer at hotmail dot com. Davalyn, You sound like a please customer. :) Thanks for letting us know what you think about the CFHS blog and for being a loyal fan. I enjoy this blog and read it every day.....I enjoy all the posts (and giveaways are nice!) and think the length of them is just fine! I do enjoy a different topic each day. I subscribe via E mail. Thanks for all you do for us readers! Jackie, Thanks for being a loyal follower. I'm glad to know that you're satisfied with how things are going on CFHS. I visit the CFHS blog daily and follow by email. I love having a new topic each day and find that I often learn something I didn’t know, which is a delight! I comment on most every blog post, giveaway or not. However, I do love the wonderful giveaways that are offered. They are such a fun treat! Thank you for all you do and keep up the great work! Thanks for visiting CFHS every day, Britney. 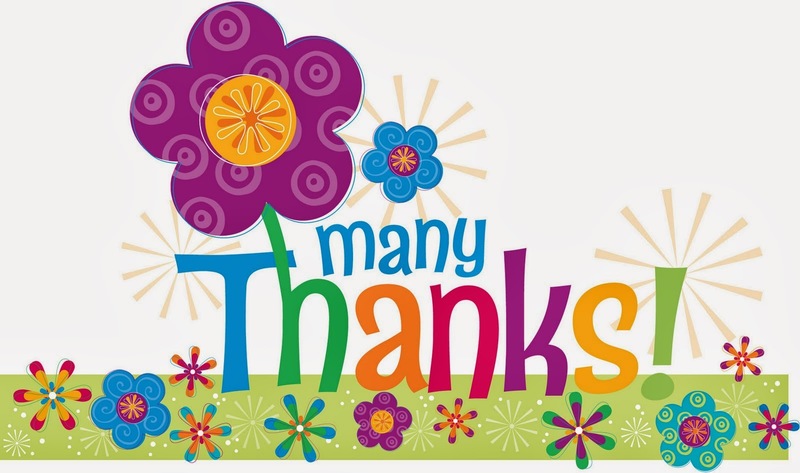 We appreciate your loyalty and are glad to know you're enjoying the posts and give-aways. I'm a follower of this blog and I read it every day. The topics are a good length and I like for the topics to be different every day unless there's a very long one that the second half needs to be continued the next day. I receive the CFHS blog to my email every day. I love history and I have learned things from this blog that I didn't learn from my history classes and in reading. The giveaways are a great extra bonus. I comment sometimes, but I'm not a writer so my comments are not worth reading. Well, I hope I have helped at least a little. Keep up the great work I enjoy and thank you for the opportunity to participate in this giveaway. Barbara, This blog is not for writers, it's for lovers of history. I hope you will feel free to leave a comment any time you want. We welcome them. We've talked about changing our name because we don't want people to think it is just another writing blog. Thanks for your excellent feedback! I receive your post daily by email and I love it! The length is perfect and it is always so very interesting. I love that there are different posts daily. I love commenting when I am so moved and the giveaways are just an added bonus. Thank you for sharing your talents and your hard work. It is greatly appreciated. Melanie, I'm so glad that you're happy with our posts. Thanks for being a loyal follower! Thanks for letting me know this, Sharon. I haven't read the other stories in the collection, but I want to soon. Do you like having a new topic each day, or would you prefer that a topic stay up for several days? New topic. What entices you to leave a comment? Identifying with subject. Do you feel the length of most of the posts are a good? Yes, and I like the photos to go with the subject! What other topics would you like for us to cover? immigrants, coming through Ellis Island ~ I am second generation born in America ~ my grandmother came with her family when she was sixteen from Norway. I am half-Irish, on my father's side, and 1/4 German and 1/4 Norwegian on my mother's side. So interesting to me. Are you a follower of the CFHS blog? If not, could you tell us why? yes I am ~ I receive e-mail notices of posts as a follower and am a Google Friend Connect friend. Appreciate this venue of exploring history together. How can we make the CFHS blog better? no complaints here! 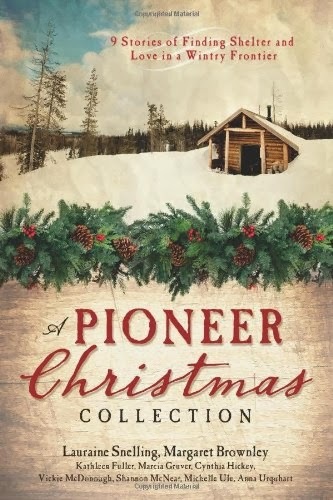 Kathleen ~ Lane Hill House lanehillhouse[at]centurylink[dot]net I would love this Pioneer Christmas collection. Thanks for taking the time to answer our questions, Kathleen! We appreciate it and are glad you're a follower. •Are you a follower of the CFHS blog? If not, could you tell us why? •What other topics would you like for us to cover? I'm looking forward to seeing the different topics you cover before I offer any suggestions. •Is there something you don't like about the CFHS blog? Not so far! I'm excited to have found you! Thanks for becoming a Follower! I hope you enjoy our posts. I read your blog daily! I truly do love it and it makes me love history and historical fiction so much more now, hearing all the little details and extra little stories and history facts that you share. I love the different topics daily. For me, I don't think you should change anything, but I am sure there are ways you could always improve. Thanks so much for your input, Joy. I'm glad you're enjoying the blog. Wow, what wonderful comments. I've been busy all day with family and church, so I didn't have time to check us out today until just now. Thanks to all of you great followers. We aim to please, so any suggestions are welcome. Thank you for all the wonderful comments! They are very helpful. I love this blog! I receive it by email every day and look forward to "what's next!" I love the different topics and I always look forward to topics that continue over a few months. I appreciate the giveaways - they're a huge bonus but not necessary for to comment. I'll comment on any post when I feel moved to. Although I read the blog daily I do have certain authors I make sure I see each.month. I hope this helps and I'm so grateful to all ladies who blog here and share of their lives and fun history tidbits!! Thanks for the chance to win Pioneer Christmas! Thanks for your wonderful comments. I'm thrilled to know you're enjoying the CFHS blog so much. I love checking in to this blog. Most every day. I find most of the topics very interesting. I have learned so much about our history that I didn't know and am 78 years. Now, if I could just remember what I learn better. I think the length is good. I really do not know anything to make it better. All of you do a good job in my opinion. I would love to hear more about the 1920's. My parents married in 1921 when my mother 15. They had some rough times and raised 8 children. I was 7th and was born in 1935, during one of the big dust storms in Oklahoma, and almost didn't survive. I must admit I love the give-aways, but do read the articles anyway, even if they don't have one. I think the length is good, and have no idea of anything that would make it better. And, I am a follower. GOD bless each of you. As a historical writer, I was fascinated to hear your mother married at age 15. Most publishers won't let us have a heroine that young, but I know women/girls often married much younger in the "old" days than they do now. I'm an Okie, and my dad told me stories about living through the Dust Bowl days. It must have been so hard, especially for the babies. I'm glad you survived! Thanks for following our blog so faithfully! WOW! We have so many happy readers and fellow lovers of history. Thank you every one of you for visiting our blog. Congratulations to Kathleen at Lane Hill House for winning A Pioneer Christmas. Thank you to all who left comments. Your feedback will be a huge help as we move forward into a new year of CFHS. How encouraging! Thank you everyone who stopped by and left us feed back. We appreciate all of you!!! I really enjoy this blog. I've subscribed to it, so I receive all the posts daily in my inbox, and I read every single one of them! I like having a new topic each day and have enjoyed learning about various topics that I don't know very much about (or that I know nothing about!). Whether or not I leave a comment depends on the topic and the question--sometimes it helps that there is a giveaway, and sometimes I answer a question because I like the topic and the question.